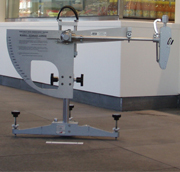 The principle of the Wet Pendulum Tester to asses the friction characteristics of each specimen by determining the wet dynamic friction between the specimen and the slider of a pendulum swinging in a vertical plane. 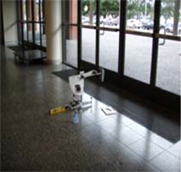 The Wet Pendulum Test is the de-facto in-situ test device. The device is calibrated in every 12 months to ensure accuracy of the test.